Students and Community volunteers alike played a big role cleaning the yards of 19 La Harpe homes on Oct. 20. 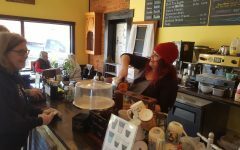 Kylee Maloney, a freshman at Allen Community College, has lived in La Harpe, Kan., for the majority of her life and comes from a family of prominent business owners in the town. 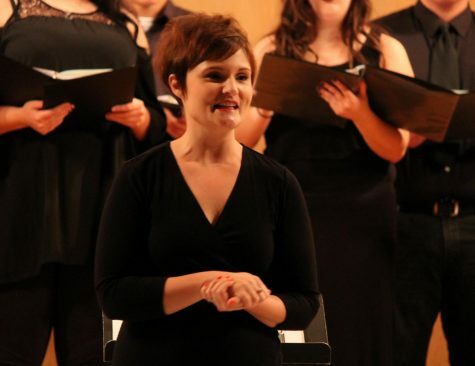 Maloney spends her days attending classes, working at family owned Ray’s Metal Depot in La Harpe, or at home with her two younger siblings and myriad of animals including a golden retriever named Bentley, a sweet Yorkshire terrier, and a “bunch of” cats. 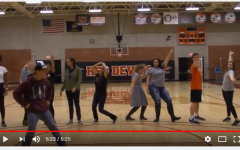 “People from all over come to Allen, but if I mention that I’m from La Harpe to new friends they are like ‘What the heck is that,’” Maloney said of the Allen County town, population 537. While the small town life might not be for everyone, according to Maloney, it’s pretty chill. The Maloneys, and family own both Ray’s Metal Depot and TLC Garden Center in the town. One thing that isn’t so chill? Not having anything to do. 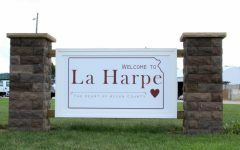 La Harpe Days was the town celebration, much like Farm-City Days of Iola, but this June will mark the first time the event has happened in several years. “Growing up I was always excited for that because we’d see everyone and it was a lot of fun,” Maloney added. LA HARPE itself has seen brighter days, but with a new fitness center open in the center of town, a continued renovation of the park on the east side of town, and ongoing conversation about the town’s development, things are definitely looking up. 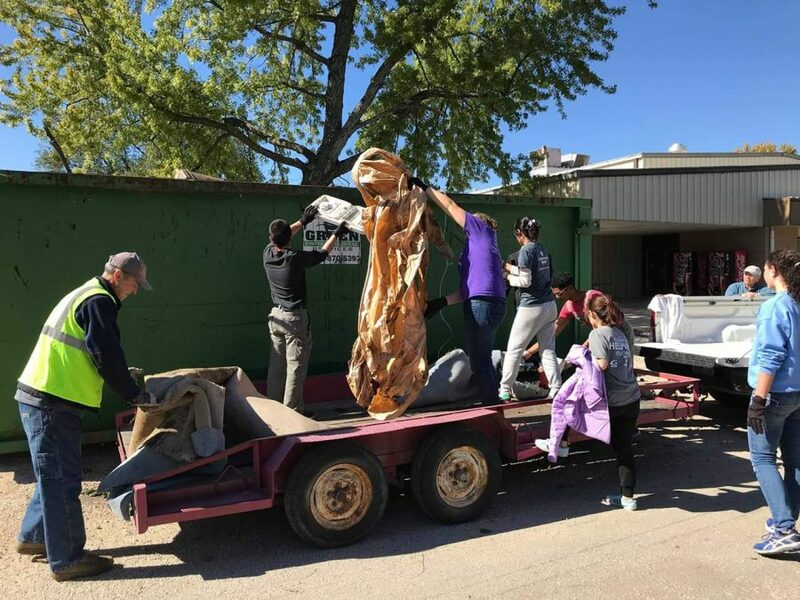 In October, over 48 volunteers flooded La Harpe City Hall for a Community Clean-Up that involved workers from Allen, the Kansas State University Alternative Breaks program, and local residents. The group cleaned the yards of 19 La Harpe homes, and, according to Alternative Breaks Student Coordinator Katie Buhler, it was a great learning experience for the students. “Working in partnership with Thrive Allen County and Allen Community College students provided K-State students the opportunity to learn about new communities in Kansas and engage with people of different ages and backgrounds while working toward a common goal of community development,” said Buhler. For students like Maloney, the attention to her hometown over that weekend felt long overdue.